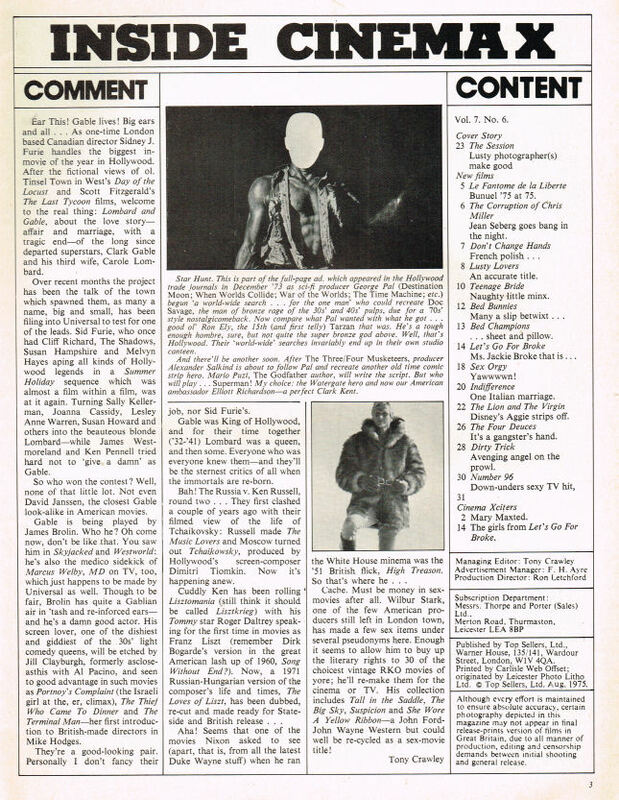 - First and last issue: 1969-1977? 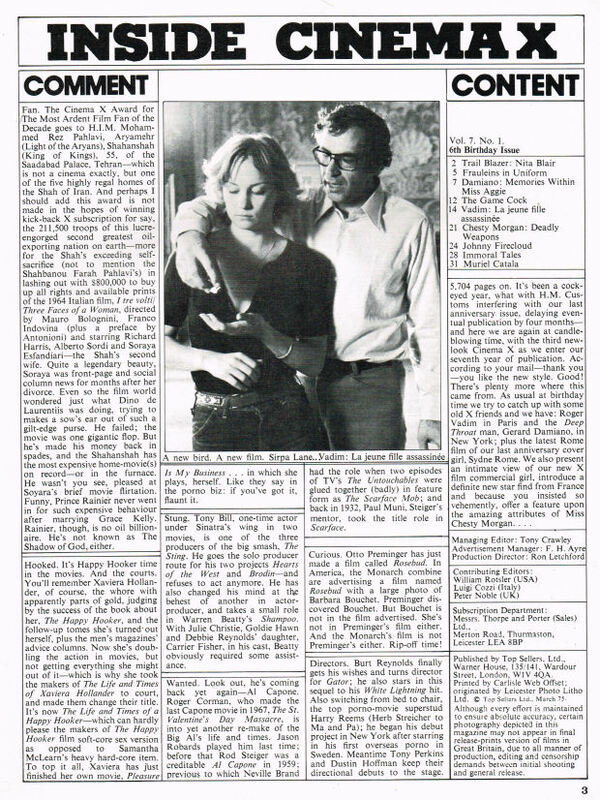 - In 1975 Cinema Blue, a spin-off magazine started. 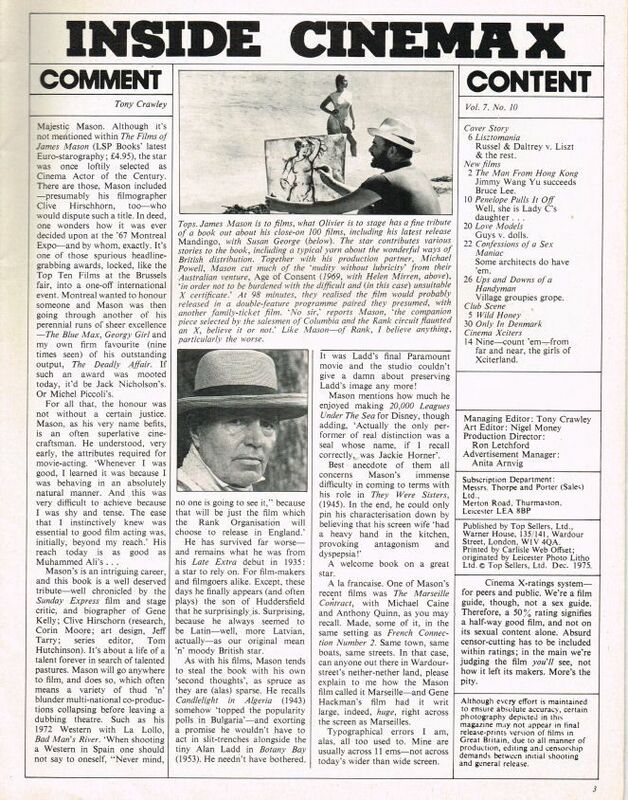 - Specials called "Cinema Xtra" are double issues that combine individually published issues. 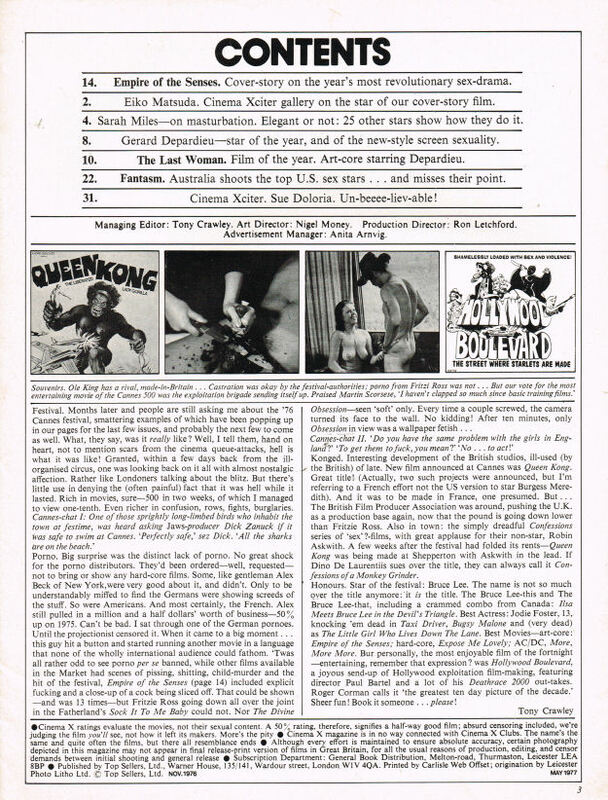 Triple issue containing issue vol 8 no 3, plus vol 7 no 11 and 12. 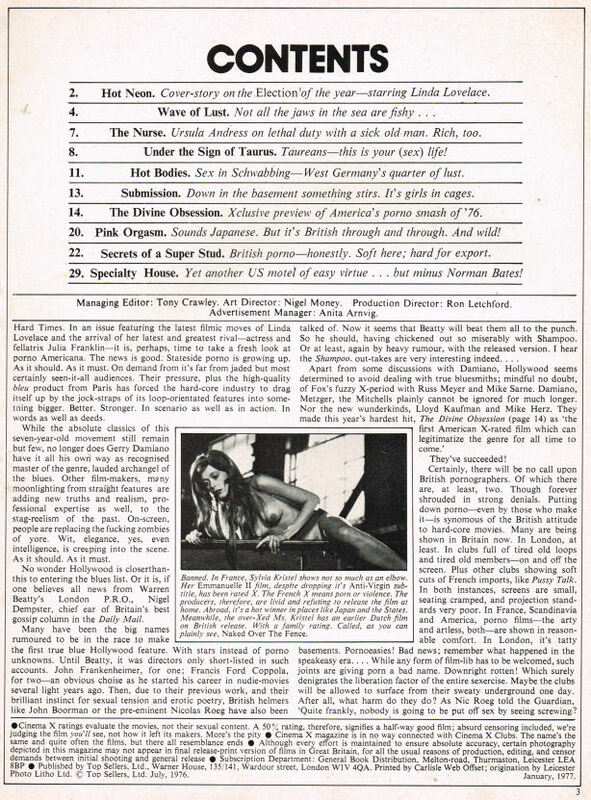 Triple issue containing issues vol 7, no 4, 5 and 7. Vol. 6 No. 12 & Vol. 7 No. 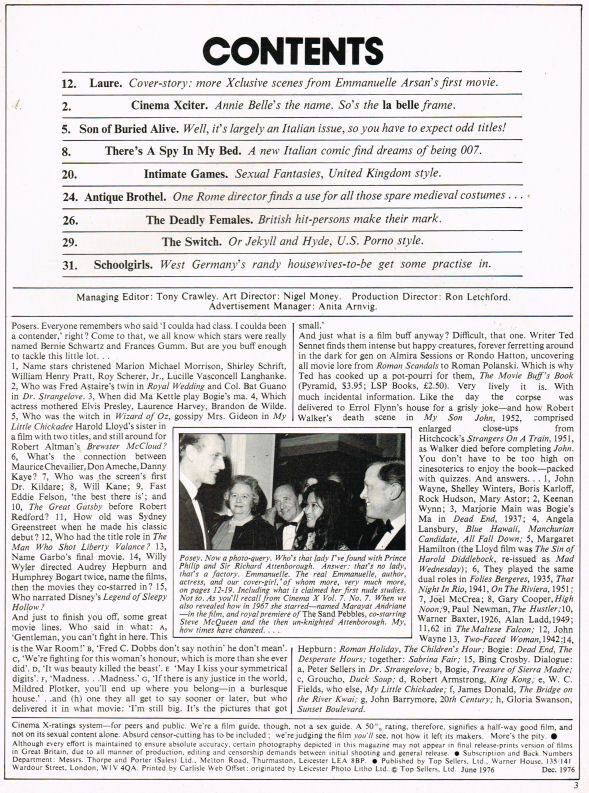 1 & "April 1975" of Cinema X. Double issue containing issue vol 4 no 10 and no 11. Vol. 4 No. 9 & Vol. 4 No. 12 of Cinema X. 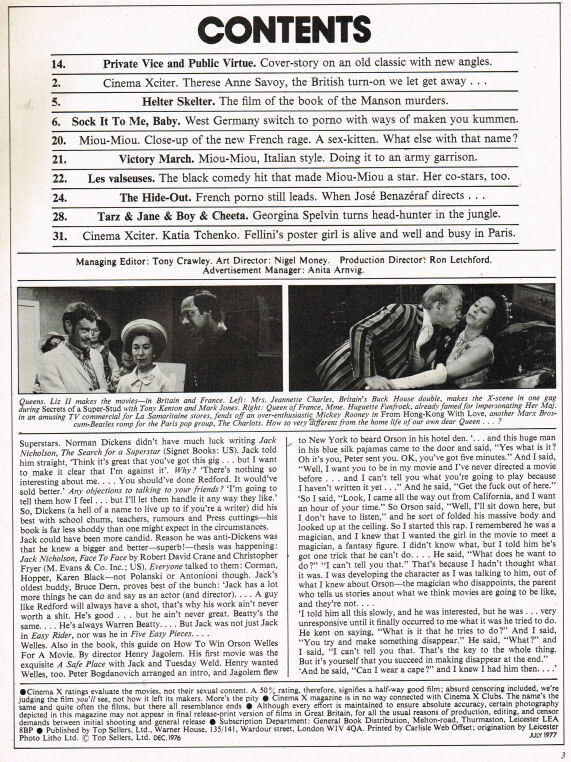 Double issue containing issue vol 4 no 4 and no 6. 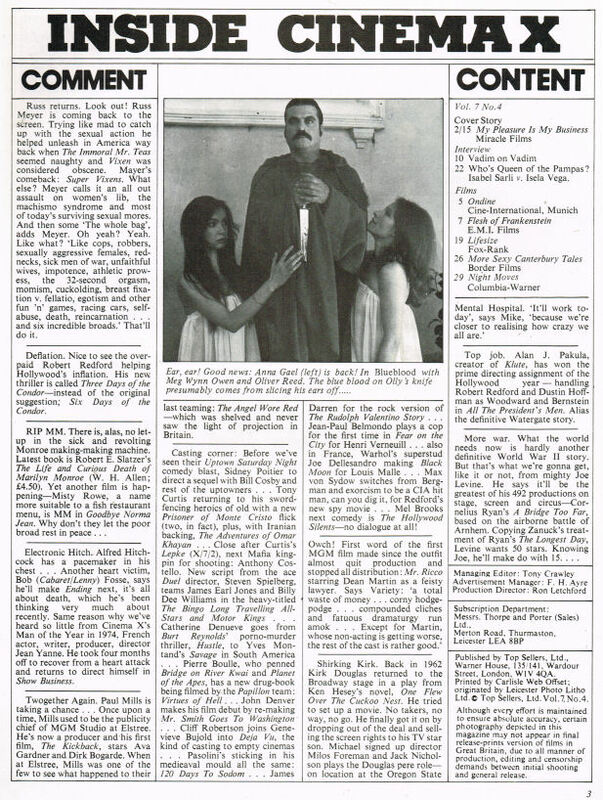 Double issue containing issue vol 3 no 11 and vol 4 no 4. Ilsa She Wolf Of The S.S. 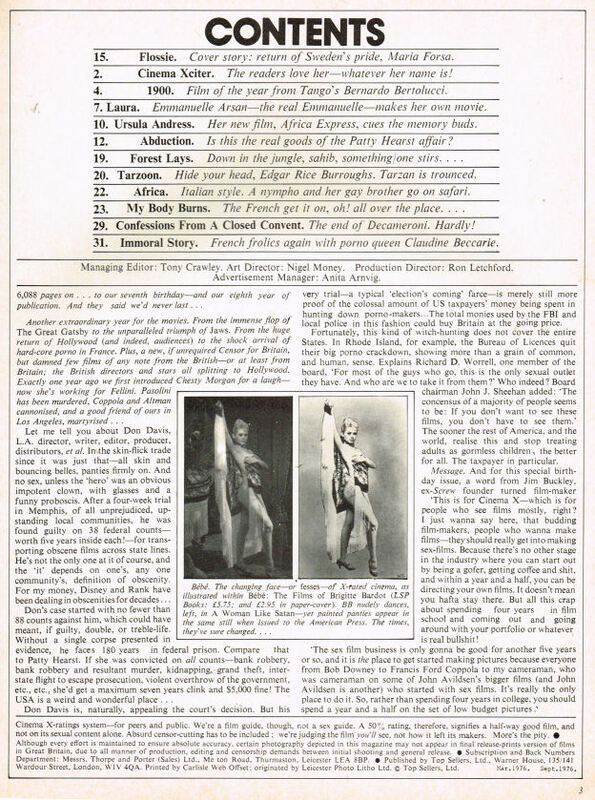 Double issue containing issues 5 and 6 of volume 3.